People have experienced Satori with Vipassana than any other method. It is the technique with which Gautama the Buddha became enlightened. However… a new approach, or support, is needed for modern man. Vipassana is an insight meditation, and understanding about oneself comes simply through allowing the mind process to slow down. It can be practiced by anyone at any time in any place. To really learn and experience the depth of Vipassana though, there is no better way than give yourself the time and space of a retreat, with Osho’s active meditations to support you and private meditation counseling as part of your retreat. Allow yourself the luxury of just being, undisturbed by outside influences, and see what is possible when you bring your awareness, your attention back to yourself.”The world was very different in the past, obviously. About six weeks worth of sensory stimuli six hundred years ago is what we now get in a day. Six weeks worth of stimulation, information, we are getting in a single day – about forty times the pressure to learn and adapt. Modern man has to become capable of adapting to new situations every day because the world is changing so fast. It is a great challenge. A great challenge, if accepted, will help tremendously in the expansion of consciousness. 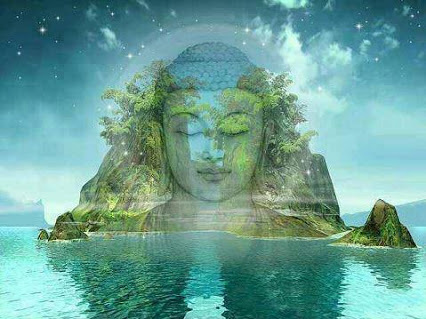 There are hundreds of methods of meditation, but perhaps Vipassana has a unique status; just the same way as there have been thousands of mystics, but Gautam Buddha has a uniqueness of his own. In many ways he is incomparable. In many ways he has done more for humanity than anybody else. In many ways his search for truth was more sincere, more authentic than anybody else’s. 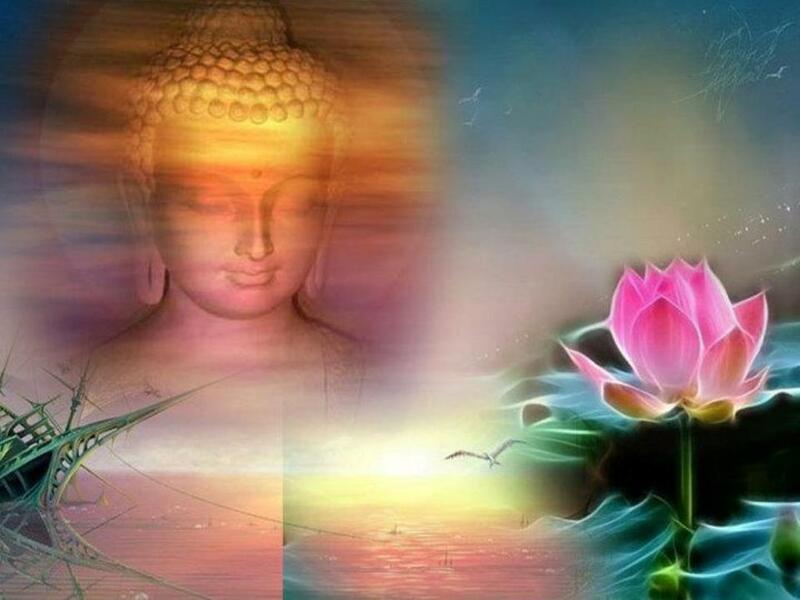 The meaning – the literal meaning – of the word Vipassana is “to look,” and the metaphorical meaning is “to watch, to witness.”Gautam Buddha has chosen a meditation that can be called the essential meditation. Vipassana is one of the essential meditation technique developed by the Gautama Buddha. According to Osho, more people have got enlightened through vipassana meditation than by any other meditation technique. Give yourself time to experience the transforming power of silent meditation. Through watching or witnessing the dust settles, and clarity, insights and understanding arise. Osho revitalizes Vipassana, bringing a friendly relaxed approach so that meditation deepens easily and becomes “ a juicy experience ” that continues into daily life. Buddha’s way was VIPASSANA – vipassana means witnessing. And he found one of the greatest devices ever: the device of watching your breath, just watching your breath. Osho revitalizes Vipassana, bringing a friendly relaxed approach so that meditation deepens easily and becomes “ a juicy experience ” that continues into daily life. You will have to learn ways of relaxing in the present. Enlightenment is not an effort to achieve something. It is a state of effortlessness. It is a state of no-action. It is a state of tremendous passivity, receptivity. You are not doing anything, you are not thinking anything, you are not planning for anything, you are not doing yoga exercises, and you are not doing any technique, any method — you are simply existing, just existing. And in that very moment… the sudden realization that all is as it should be. Vipassana can be done in three ways…You can choose which one suits you the best. 1. Awareness of your actions, your body, your mind, your heart. Walking, you should walk with awareness. Moving your hand, you should move with awareness, knowing perfectly that you are moving the hand. You can move it without any consciousness, like a mechanical thing. You are on a morning walk; you can go on walking without being aware of your feet. Be alert of the movements of your body. While eating, be alert of the movements that are needed for eating. Taking a shower, be alert of the coolness that is coming to you, the water falling on you and the tremendous joy of it …. Just be alert. It should not go on happening in an unconscious state. And the same about your mind: whatever thought passes on the screen of your mind, just be a watcher. Whatever emotion passes on the screen of your heart, just remain a witness – don’t get involved, don’t get identified, don’t evaluate what is good, what is bad; that is not part of your meditation. Your meditation has to be choice less awareness. You will be able one day even to see very subtle moods: how sadness settles in you just like the night is slowly, slowly settling around the world, how suddenly a small thing makes you joyous. Just be a witness. Don’t think, “I am sad.” Just know, “There is sadness around me, there is joy around me. I am confronting a certain emotion or a certain mood.” But you are always far away: a watcher on the hills, and everything else is going on in the valley. This is one of the ways Vipassana can be done. she is more conscious of how she sits; she is always conscious of being graceful. And it is not only a conditioning; it is something natural and biological. 2. Breathing, becoming aware of breathing. As the breath goes in, your belly starts rising up, and as the breath goes out, your belly starts settling down again. So the second method is to be aware of the belly, its rising and falling. Just the very awareness of the belly rising and falling… And the belly is very close to the life sources because the child is joined with the mother’s life through the navel. Behind the navel is his life’s source. So when the belly rises up, it is really the life energy, the spring of life that is rising up and falling down with each breath. That too is not difficult, and perhaps may be even easier, because it is a single technique. In the first, you have to be aware of the body, you have to be aware of the mind, you have to be aware of your emotions, moods. So it has three steps. The second sort has a single step: just the belly, moving up and down. And the result is the same. As you become more aware of the belly, the mind becomes silent, the heart becomes silent, the moods disappear. 3. Be aware of the breath at the entrance, when the breath goes in through your nostrils. Feel it at that extreme – the other polarity from the belly – feel it from the nose. The breath going in gives a certain coolness to your nostrils. Then the breath going out … breath going in, breath going out …. That too is possible. It is easier for men than for women. The woman is more aware of the belly. Most men don’t even breathe as deep as the belly. Their chest rises up and falls down, because a wrong kind of athletics prevails over the world. Certainly it gives a more beautiful form to the body if your chest is high and your belly is almost non-existent. Man has chosen to breathe only up to the chest, so the chest becomes bigger and bigger and the belly shrinks down. That appears to him to be more athletic. Around the world, except in Japan, all athletes and teachers of athletes emphasize breathing by filling your lungs, expanding your chest, and pulling the belly in. The ideal is the lion whose chest is big and whose belly is very small. So be like a lion; that has become the rule of athletic gymnasts and the people who have been working with the body. Japan is the only exception, where they don’t care that the chest should be broad and the belly should be pulled in. It needs a certain discipline to pull the belly in; it is not natural. Japan has chosen the natural way; hence you will be surprised to see a Japanese statue of Buddha. That is the way you can immediately discriminate whether the statue is Indian or Japanese. The Indian statues of Gautam Buddha have a very athletic body: the belly is very small and the chest is very broad. But the Japanese Buddha is totally different; his chest is almost silent, because he breathes from the belly, but his belly is bigger. It doesn’t look very good because the idea prevalent in the world is the other way round, and it is so old. But breathing from the belly is more natural, more relaxed. In the night it happens when you sleep: you don’t breathe from the chest, you breathe from the belly. That’s why the night is such a relaxed experience. After your sleep, in the morning you feel so fresh, so young, because the whole night you were breathing naturally … you were in Japan! These are the two points: if you are afraid that breathing from the belly and being attentive to its rising and falling will destroy your athletic form… men may be more interested in that athletic form. Then for them it is easier to watch near the nostrils where the breath enters. Watch, and when the breath goes out, watch. Any one will do. And if you want to do two forms together, you can do two forms together; then the effort will become more intense. If you want to do all three forms together, you can do all three forms together. Then the process will be quicker. But it all depends on you, whatever feels easy. As meditation becomes settled, mind silent, ego will disappear. You will be there, but there will be no feeling of “I.” Then the doors are open. Just wait with a loving longing, with a welcome in the heart for that great moment, the greatest moment in anybody’s life – enlightenment. It comes … it certainly comes. It has never delayed for a single moment. Once you are in the right tuning, it suddenly explodes in you, transforms you. Come, experience the bliss Osho Vipassana Meditation.